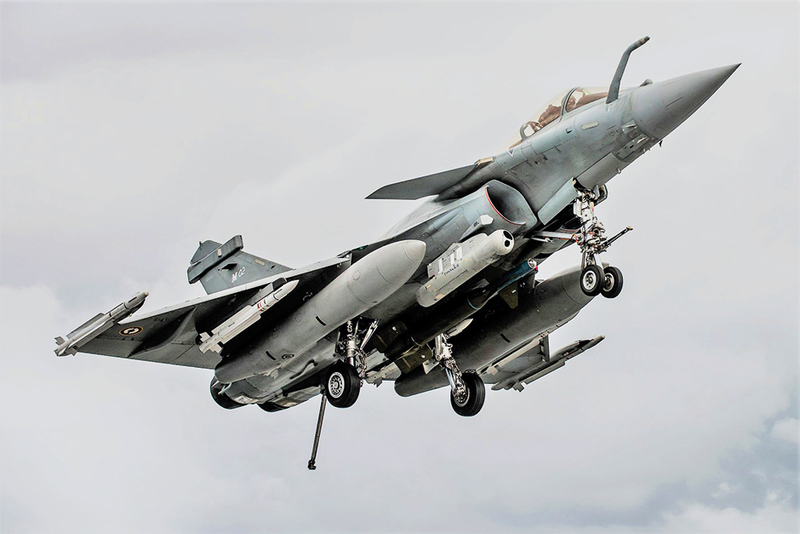 The Comptroller and Auditor General (CAG) of India, in its audit report presented on Wednesday, concluded that the 36 Rafale jet deal by the NDA was 2.86% cheaper than the earlier unconcluded deal for 126 jets under the Medium Multi-Role Combat Aircraft (MMRCA) contest of the UPA government. The NDA government’s deal was conducted through an Inter-Governmental Agreement (IGA). However, the report also stated that the price could have been further reduced, had the benefits of waiving off the bank guarantees for the vendor (Dassault Aviation) been passed on to India. There had been varying claims from government officials on how much cheaper the deal was which ranged from 9% to 20%. The report titled Performance Audit on Capital Acquisition of the Indian Air Force was tabled in the Rajya Sabha on Wednesday in which the federal auditor reviewed 11 contracts signed between 2012-13 and 2017-18 with an approximate value of ₹95,000 crore. On the Indian Specific Enhancements (ISE) which cost over €1.3bn of the €7.87bn deal, the CAG stated that there was a saving of 17.08%. However, the audit noted that four enhancements were stated not to be required in the technical and staff evaluations. “The cost of these four enhancements items was “IS4” M€ constituting about 14% of the ISE estimated cost. The ministry has stated that “scaling down the requirement to limit cash outgo cannot be considered as saving”,” the report said. CAG redacted prices in the report, which it said was based on the insistence of the Ministry of Defence citing the Indo-French Agreement of 2008 and the provisions of the Inter-Governmental Agreement (IGA). So, the report noted, the finally approved Article 5 of IGA by the Defence Acquisition Council (DAC) provided that the advance payments were to be made directly to the bank accounts of the French vendor that were opened in banks controlled by the French government. The French government was also to exercise control and monitor these bank accounts for effective implementation of the IGA and supply protocols. Further, on the issue of why sovereign guarantee was important in this deal, the report said that in case of a breach of agreement, the Indian party (Ministry) would have to first settle it through arbitration directly with the French vendors. “If the arbitration award were in favour of Indian party and the French party fails to honour the award (make the payment’s claim), the Indian party should exhaust all available legal remedies. Only then the French government would make these payments on behalf of the vendors,” the CAG stated. This is an important distinction in claims that IGAs with Russia and the US did not have sovereign guarantees. In the case of Russia, the defence industry is state-owned and in the case of the US, all dealings are with the US Department of Defence and there is no direct dealing with the US industry in the Foreign Military Sales (FMS) route. In other observations, CAG also observed that the government could have used the unsolicited offer by Eurofighter to determine a better price.